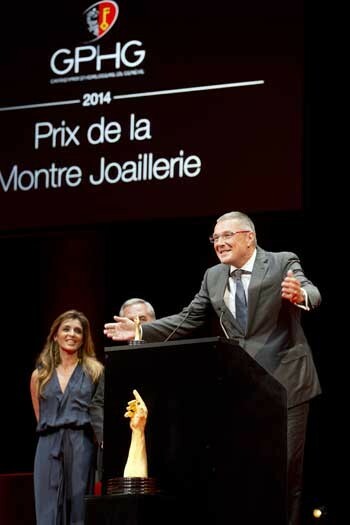 Jean-Christophe Babin, CEO of Bulgari, talks about participating in, and winning, the Grand Prix d'Horlogerie de Genève and an upcoming new launch. 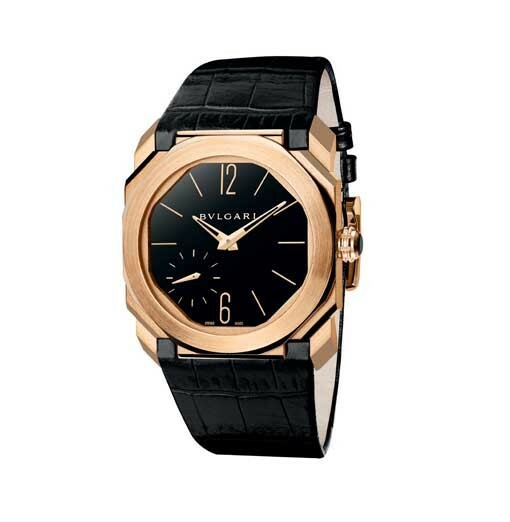 It’s the perfect balance for Bulgari, two masculine watches and two jewellery watches! But Finissimo stands out in the Men’s category, which had more candidates, making this pre-selection a particular source of satisfaction. 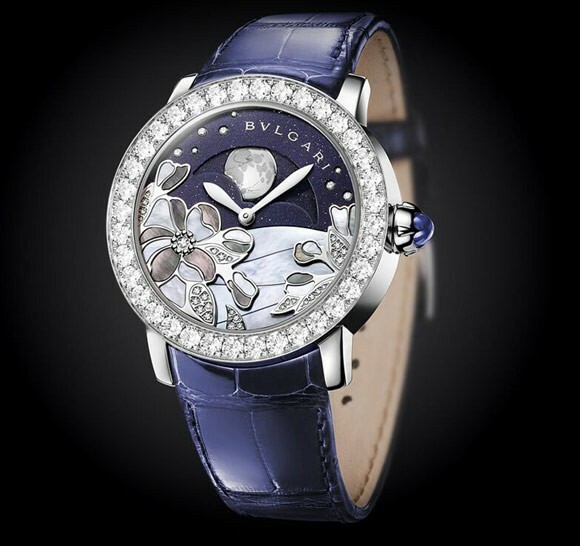 Finissimo perfectly embodies the two dimensions of Bulgari Watchmaking: Italian style and horological expertise. On the one hand, it picks up Roman architectural codes while presenting highly technical lines that might have been designed by Leonardo de Vinci; and on the other, its exceptional movement would have been unimaginable 40 years ago when Bulgari became involved in men’s watchmaking. With such a recent watchmaking history, producing a movement with the thickness of a five-franc coin in-house, with or without a tourbillon, is a great achievement in itself that demonstrates our mastery of high end watchmaking. Firstly, to rediscover the Diva shape, notably with regard to the wristband attachment, because Bulgari is committed to its jewellery design codes. But above all to discover an endless range of acetate dial variations produced by our dial-making company in La Chaux-de-Fonds*. Acetate is a living material that makes each dial unique. It is as if one were to cut the trunk of a tree: each slice is different because you never find the same texture in the same place. These rich depths of texture provide an appealing alternative to mother-of-pearl. 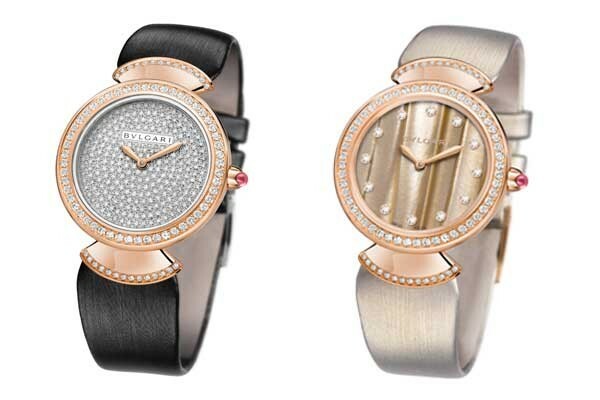 In addition, this new line offers women an evening watch that one can classify in the category of affordable jewellery watches, with prices starting at 15,000 francs. It is positioned between the everyday wear watches such as the Serpenti and Lucea that have become our bestsellers, and the Diva, Astrale and Musa occupying the very high end of the range at 50,000 francs and up. The Divina will be available in our boutiques in October 2015 and in our retailer network next year.